The discovery of two new viruses related to those that cause SARS and MERS marks PREDICTâ€™s first milestone in the region. To prevent the next pandemic, pinpoint it at the source. Thatâ€™s the idea behindÂ PREDICT, a global surveillance program that has spent almost 10 years hunting for new viruses that could spill over from vulnerable wildlife to humans. 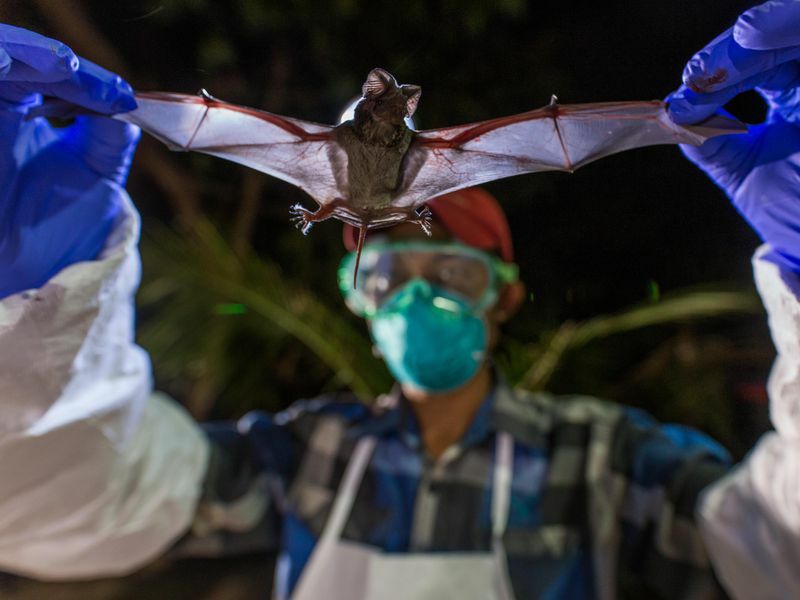 Now, PREDICT researchers in Myanmar have hit pay dirt with a never-before-seen virus that infects wrinkle-lipped batsâ€”a virus in the same family as the ones that cause SARS and MERS.Â The Myanmar virus is the first of its kind to be detected on a global scale. The team additionally identified a second new virus that had previously been found in Thailand, also in bats. Such discoveries are critical, because what happens in Myanmar doesnâ€™t always stay in Myanmar. â€œMyanmar is in a central location in Southeast Asiaâ€”an area of primary concern for viral diseases and emerging infectious disease,â€ saysÂ Marc Valitutto, a wildlife veterinarian heading the efforts in the region, which is lush with tropical rainforest and rich in biodiversity.